No matter how experienced you are, there is always a risk of a crash when you are out on the trail. Riders often say, if an accident hasn’t happened yet, it will soon. Sometimes you may find yourself in a remote area or unable to go for help right away. 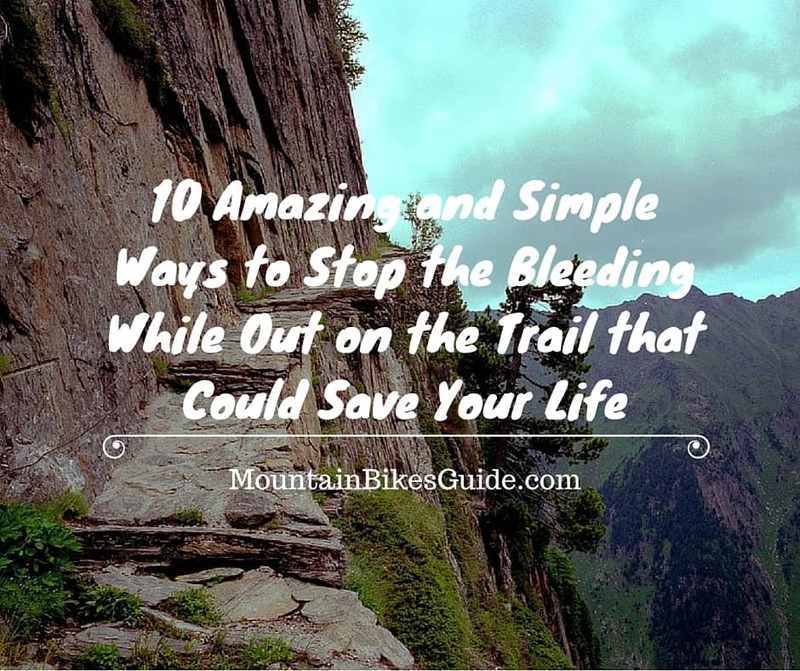 When you, or a riding buddy, has suddenly succumbed to the trail and has a nasty gash, these simple tricks will help stop the bleeding and could even save a life. If you have found yourself out on the trail without your first aid kit or you have forgotten to replace a previously used item, there are several other things you can do in an emergency. Regardless of having a first aid kit or not, you should follow these simple tips for stopping the bleeding. 1. Keep any lacerations (a tear into the skin varying in widths and depths) clean right away. You can use any water you have with you to remove any dirt or clogged blood from the wound site. 2. Keep the wound as clean as possible. Use items from your first aid kit if you have them with you. If not, keep the wound clean by using water. Remove as much debris (gravel, dirt, grass, or wood) from the wound as safely possible. Be careful to only remove debris that will not cause further bleeding. If the wound is not a laceration, but what is called a ‘roastie’ (basically road burn that leaves a nasty scrape), cleanse the wound and apply anti-septic cream as soon as possible. 3. Do your best to stop the bleeding by applying pressure to the wound. A constant pressure applied to the wound will help to prevent more blood loss by causing the blood to clot. 4. Keep the injured person as calm as possible. You can do this by staying calm yourself. Panic breeds panic and you should refrain from panicking no matter how bad the situation is. Speak to the injured person in a calm and soothing voice and continue to talk to them until help arrives. 5. Make a tourniquet from a strip of cloth or piece of clothing. Tourniquets should only be used in life-threatening situations. Tie the tourniquet firmly, taking care not to tie it too loose or too tightly. Tie a half-knot with the tourniquet. Place the stick or rod on the top before pulling the knot over the item. Next you can twist the item until it tightens and the bleeding stops. 6. Keep the injured person hydrated and warm. When help is delayed for whatever reason, an injured person can become cold and dehydrated due to blood loss. Hydration is important for regulating the systems of the body for proper function. If the injured person is shivering, give them extra clothing as needed. If the injured person has great amounts of blood loss, they are more likely to suffer from hypovolemic shock. 7. Keep the wound above the heart. If it is possible, keep the wound resting elevated above the heart. This is especially important if the wound has affected the arteries. You will be able to tell if there is an arterial wound if there are spurts of blood coming from the wound that match the heart rate. If there is in fact an arterial wound, you will need to put pressure on the artery above the wound site. 8. Create a splint as needed. For injuries that are broken bones (fingers, arms, or legs), you can use sturdy sticks at the appropriate size in combination with strips of cloth to create a splint. Care for the wound appropriately before you apply the splint. An injured area should usually be splinted in the position it is in. Use a rigid item to make a splint or tape to a nearby body part (for example, taping an injured finger to the finger next to it). Extend the splint beyond the injury. This will keep it from moving. Try your best to include the joint above and below the injured area in the splint. Safe the splint by tying it off or using tape. Check the area often (until help arrives) to make sure there is no swelling, numbness, or paleness. These conditions could mean that the splint is too tight. 9. Ensure the injured person is not suffering from a concussion. When there is a crash, even if the victim is wearing a helmet, a concussion is still very possible. Usually a concussion will accompany other injuries, especially if the crash was particularly bad. Concussions can occur if the injured person is conscious or unconscious. It is important to keep a close eye on the fallen rider and make sure they do not get back on the bike. Bruising appearing behind the ear(s) or behind the eyes. Create a sling using a spare shirt or jacket. Secure the arm that is on the same side as the sprain or break. Keep the arm resting at a 90 degree angle. Use safety pins to secure the shirt, but if you do not have safety pins, you can tie a few firm knots to keep it in place until help arrives. If you and your riding buddies frequently make your way out onto the trail, it is a good idea to take a first aid certification course. This will not only help you for your future, but a certification can be lifesaving. Knowing exactly what to do in an emergency situation will be beyond useful. 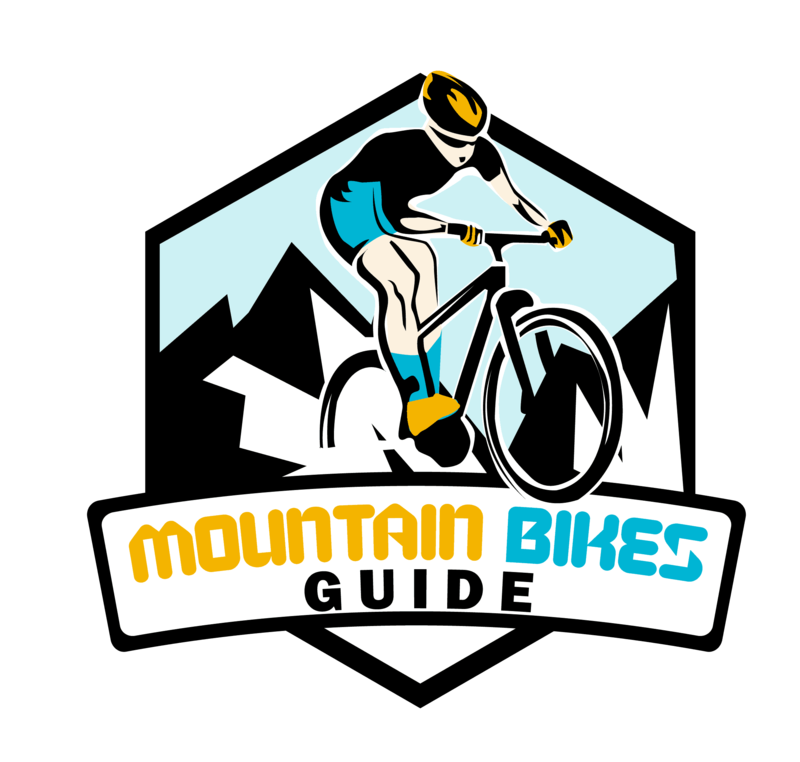 Especially since mountain biking is known for the amount of serious injuries that riders sustain each year, having the appropriate knowledge will be more than beneficial. In the end, when you are riding out on a trail, you should expect to have a crash at some point in your mountain bike riding career. Mountain biking is known to be a sport that causes injuries to everyone that practices this extreme sport. When you can prepare yourself as well as your riding buddies for the worst, you will be able to handle situation better and in a calmer fashion. Keep in mind that you should always wear ﻿a helmet and bring along a first aid kit, no matter how small. You never know when you could need something out on the trail and if you are far from help, or help is delayed, those small items could potentially be lifesaving. It is also important to remember to keep your first aid kit stocked and replenish any items that have been used. Check often to ensure any medications in the kit are within the expiry date. No matter the seriousness of the injury, staying calm and focused during the ordeal will help everyone make it through the situation in an easier and calmer way. Exuding calm energy in an emergency situation will help keep the injured person from reaching a state of panic. Panic should be avoided at all costs to prevent worsening an injury further. Overall, riding a mountain bike should be about the thrills and fun experiences out in the wilderness. Just be sure to stay as safe as possible, prepare for the worst while expecting the best, and you will find yourself riding more confidently with the knowledge you will need in the event something should happen.